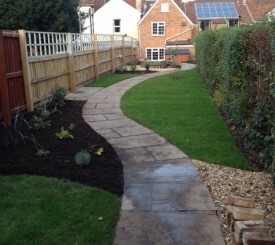 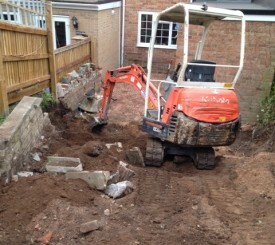 « Looking for a Garden Designer in Somerset? 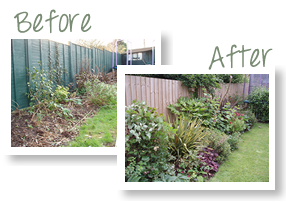 We have been lucky with the weather this autumn and have completed the construction of several gardens, the pictures show some before and after shots of a recently completed Somerset garden. 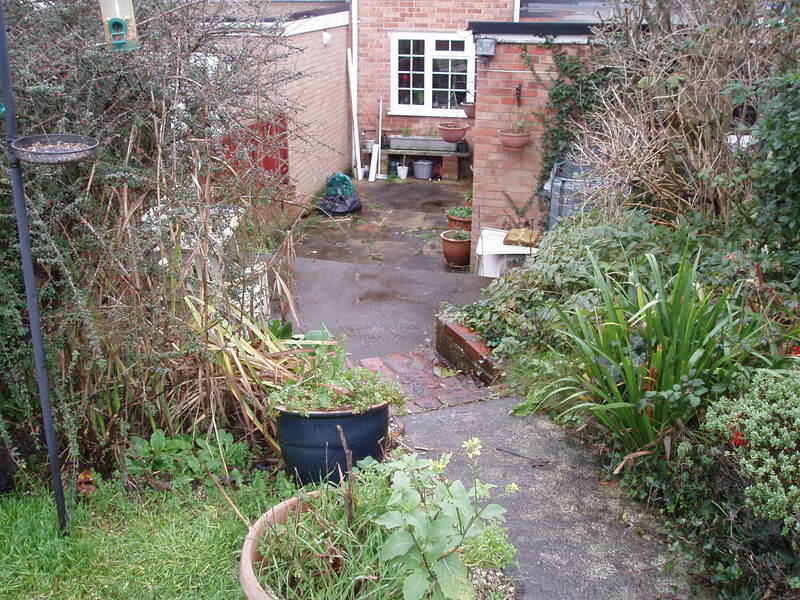 The design was complex due to a steep change in levels near the house and the narrow width of the garden. 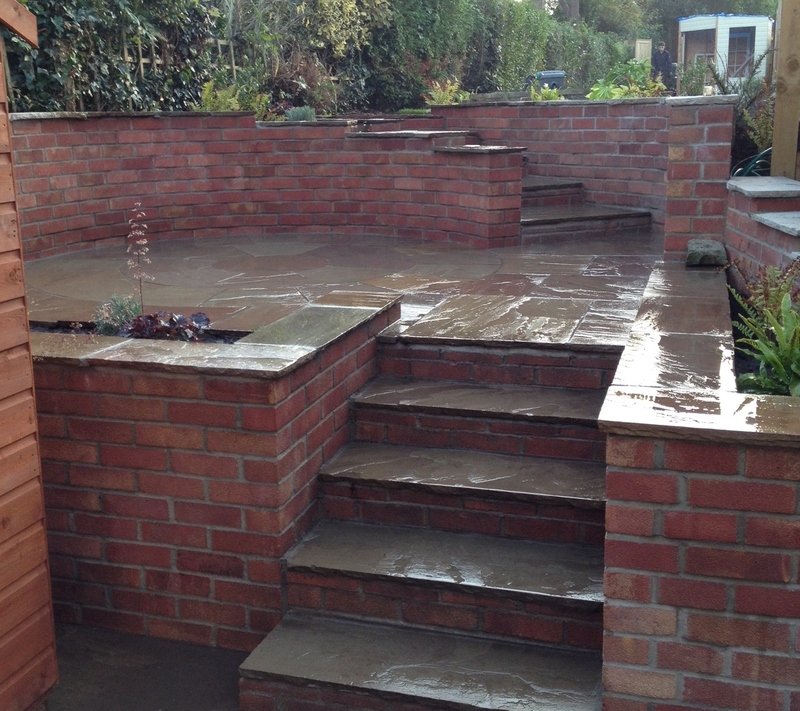 Natural Sandstone paving was used to provide a circular patio terrace with curved steps up to an existing pond. The low maintenance planting provides year round colour and the plants were already attracting bees into the garden, even before we had finished the planting! Looking for a Garden Designer in Somerset? Take a look at some gardens I've designed in the Portfolio section. Lucie New Garden Designer. 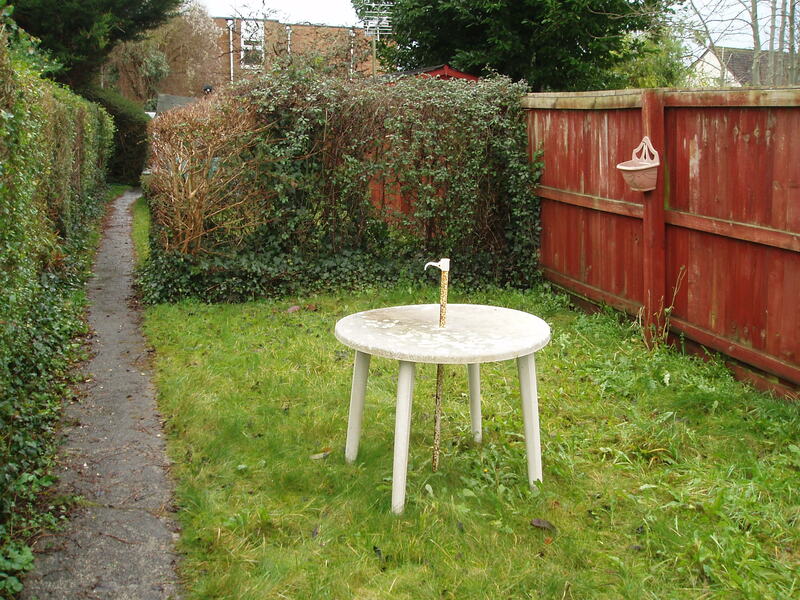 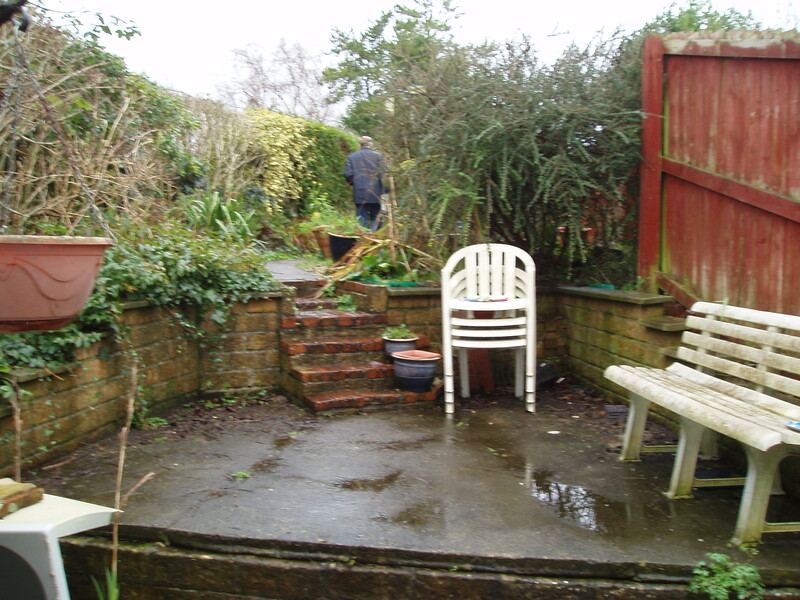 Garden Design and Advice from Bridgwater Somerset. 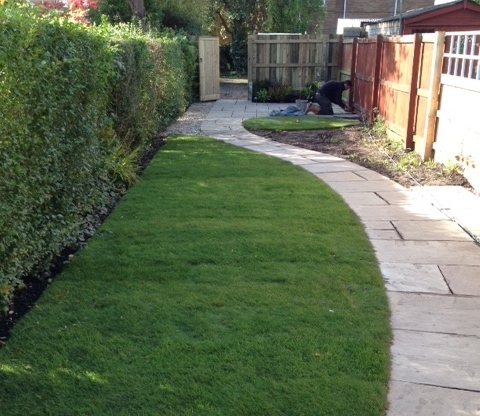 Contact Lucie New, garden designer, for garden designs, patio designs, landscaping, garden design ideas and small garden design.